From Churches, to Restaurants and Office Buildings, we specialize in providing excellent services to our commercial projects. A lot of commercial buildings have flat, or nearly flat roofs. These roofs have been proven over and over to be highly problematic. Without proper drainage, pooling flat roofs will be problematic and very expensive to repair. HALO Storm Restoration only uses 60 mil grade TPO flat roofing material. Through experience, this is currently the only flat roof material that we are willing to put our name behind. This material is mechanically adhered along the seams, and then hot welded to each other in order to ensure total protection from the elements. It is light weight, and makes the roof as secure as the bottom of a swimming pool. 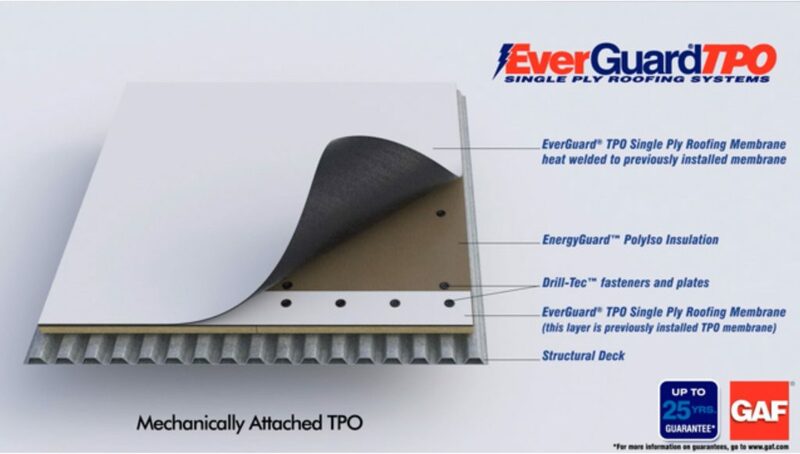 Unlike the black material used in the past, TPO is white and absorbs much less heat energy from the sun. If you’ve ever put your hand on a black asphalt road, you will know how much of a difference this makes. 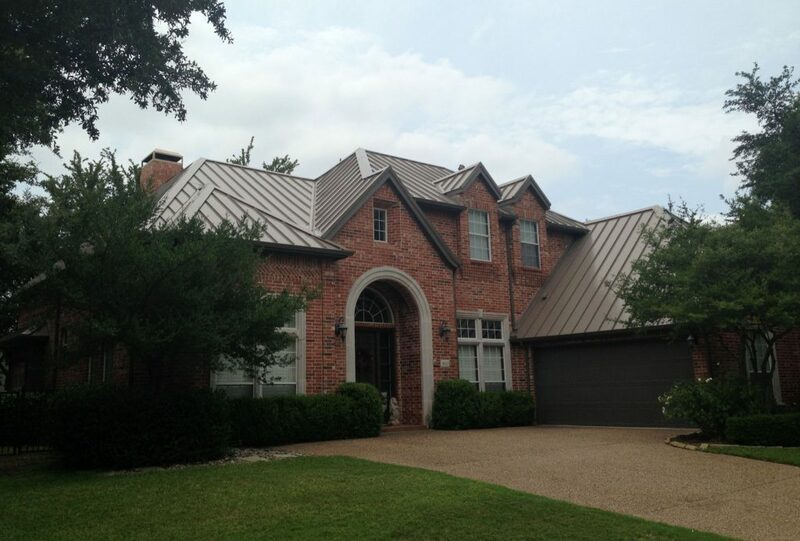 This Roofing material is used widely on commercial products due to the great look, and universally appealing design. This material comes in a variety of colors, from copper to bright red. Let us bring you samples to let your company come to life with this product. This product is rated class 4 impact resistant which can lower your insurance premiums by 20% – 30%! Standing Seam roofs, and cut and molded to size on the jobsite ensuring a seamless look. The panels are mechanically secured to each other using an electric seamer, and offers the greatest protection against leaks. Schedule Your Halo Roof Service Today! Halo Storm Restoration | © Copyright reserved.